Established in 1989 Aylan Brown Realty specializes in small and large acreage. Located in Columbia, S.C., we offer owner financing and comprehensive customer service for individuals interested in owning property in rural South Carolina. With over twenty years experience we enjoy an excellent reputation at the local and state level. We sell residential, commercial property, "acreage" or large or small tracts, and we also deal in small to large acreage for homes sites. 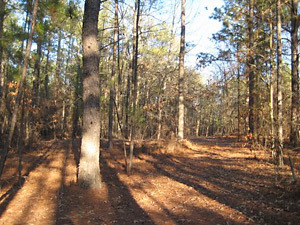 Home sites range from .5 acres to more than 30 acres. We have investment and recreational properties that range from 50 to 500 acres. We have offerings in several counties: Fairfield, Newberry, Kershaw, Lexington, and Richland. We give you a current listing of what we have available including price, terms, and a map. You go have a look at the property. No pressure. No haggling. If you like it, a little money down will usually do it. We do the financing. Since the property is its own collateral, there's no wait for credit approval. We are prepared to help you if you are seeking solitude or solid investment. We rarely have houses, cabins, or rentals, but we know who does. We are prepared to help you if you are seeking solitude or solid investment.